Take 5 is a quick look into a small local business, brought to you by local photographers. 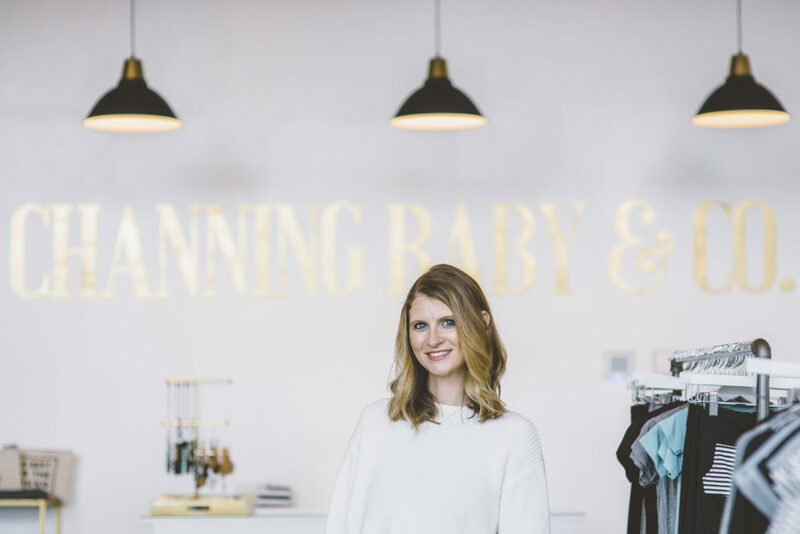 Channing Baby & Co is the the newest kid on the block in Downtown Tacoma’s Pacific Avenue business district. 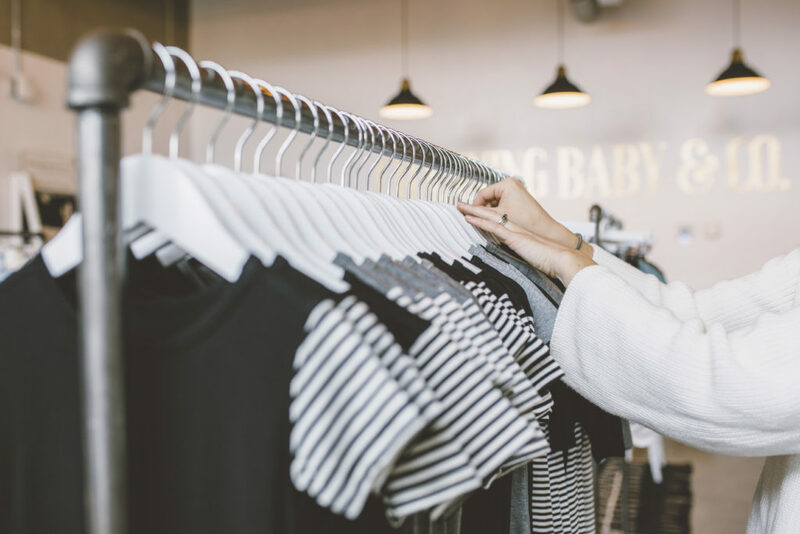 A high-end baby boutique you’re sure to fall in love with! 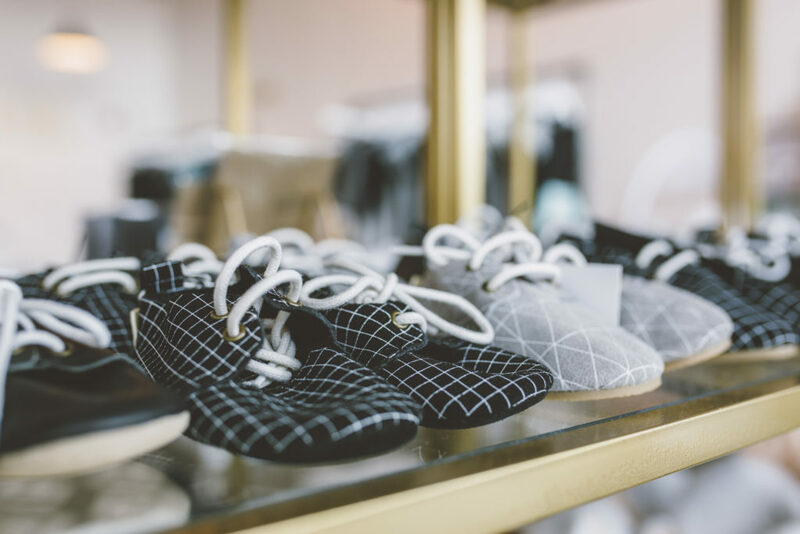 Stop in for your next baby shower gift and be tempted to buy a little something for yourself too! Tell me a little bit about your shop and what makes it unique. Two main things make us unique. The first thing is our look. 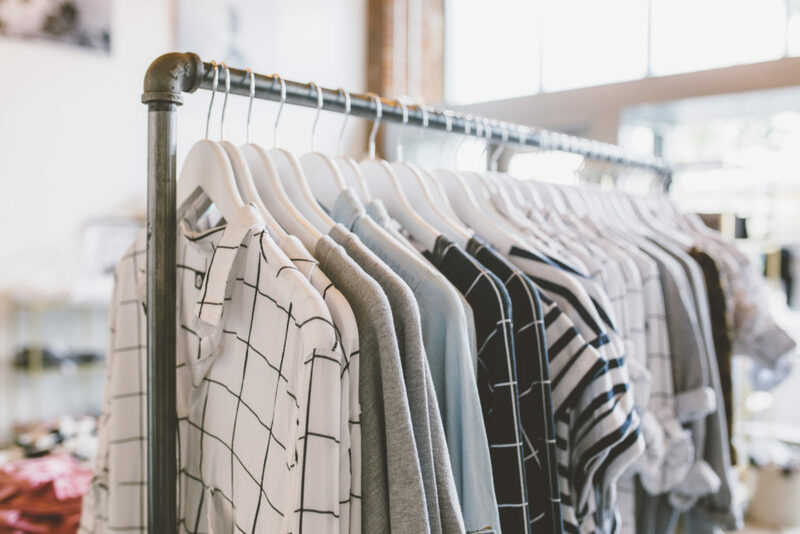 Our style is modern: gender neutral clothing design; black, white and gray colorways; street-style with urban influences; cool prints, and adult styles. We also feature what we consider to be the best quality baby gear. My professional background is in baby gear, (strollers, car seats) so having the top of the line brands is important to me. Besides that, as a parent, you figure out quickly what works and what doesn’t. Usually you find out what doesn’t work when you are dealing with a messy diaper or hungry baby— and you don’t forget it easily. Second, our customer service is unique. Probably most retail owners would say “our customer service sets us apart”. But for us, it means that we treat you like a friend that is coming to us for advice on gear or how to dress baby. As a parent, there are so many options and hours of research available. I wanted a place where people could come and ask questions and learn about the product—touch the product, pick it up and feel its weight, push the stroller around. We put the floor model strollers and cars seats in customers’ cars all the time, so they know what it’s going to look like and feel like to have a baby in the car. It’s one of the biggest changes in your life when you become a parent. I want people to feel comfortable to call or come in and ask questions even if it’s not about a product or (for us) a sale. That’s why we don’t commission our sales staff. We are here to help, not necessarily make a sale. Where did the name for your shop come from? Channing is my maiden name. My dad always wanted me to name one of my children Channing, but Channing Hogaboam is kind of a lot of name for a baby. Channing Baby & Co is a nod to that. Also, we thought it sounded sophisticated– but the name still lets you know what we do. Do you have a personal favorite item in your shop right now? Can I say two things? Uppababy Vista Stroller and Uppababy Mesa Car seat– hands down. I had a near accident with my first stroller/car seat travel system from a different brand. My son, Ruston, could have been seriously injured. It scared me and made me realize there is a reason why some strollers are more expensive. When I was doing my research and checking out products, I just didn’t understand the difference, but after my experience, I was trying out new strollers and I had a realization. I could feel Uppababy’s quality once I interacted with their products, and my mind was changed forever. What is your favorite thing about the Pacific Avenue Business District you are a part of? I love that so many of the businesses are owned and/or run by young women. You have Diamond at Satori, Liz at Stocklist, Jordan at Bleach, Allix at Hello Cupcake, Brooke at Urban Xchange, Martina at Charme … these are badass women and I’m beyond proud to share a street with them! It’s so empowering. Tacoma is still a small enough community where word of mouth and personal experiences really matter. Its part personal choices, part organization. First, I think as Tacomans, we are obligated to tell the business owner, share online, and tell a friend when you have a good experience. Second, as a business owner, working together to offer the public events with cross promotion opportunities is super important. I am always excited to work with local nonprofits or other businesses to promote social good or encourage mutual business opportunities. Five years ago, my husband and I were daily patrons of local restaurants and weekly patrons of nightlife on 6th Ave, Stadium District and Downtown. Now that I have two small boys, we are regulars at local parks, Point Defiance Zoo, and the Children’s Museum. Watching a child have a new experience, and be super excited about it, makes the world seem like a happier place. We are hoping to start eating out again as the boys get older. I still send my husband to pick up food (and sometimes drinks if they are okay to-go) when I see something irresistible on local restaurants’ Instagram posts!